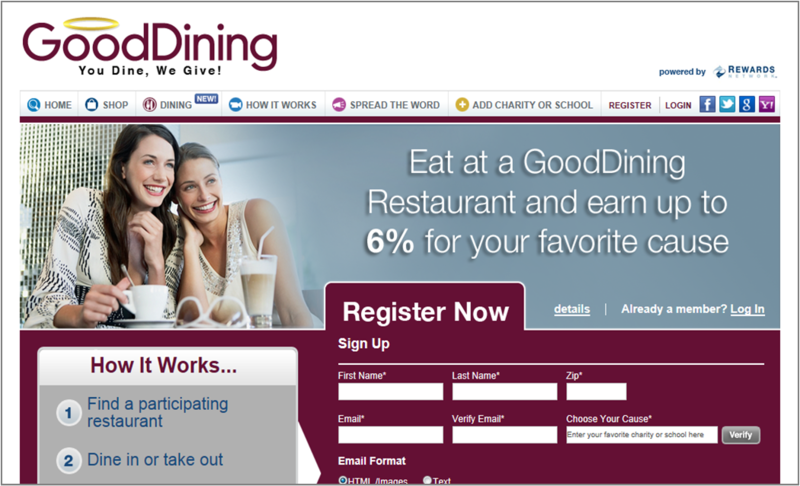 Go to www.goodsearch.com and register by clicking the "get started" button. While you're filling out your information, it will ask you to select a cause, here you type "Riverfront Cats" and select it. 2. 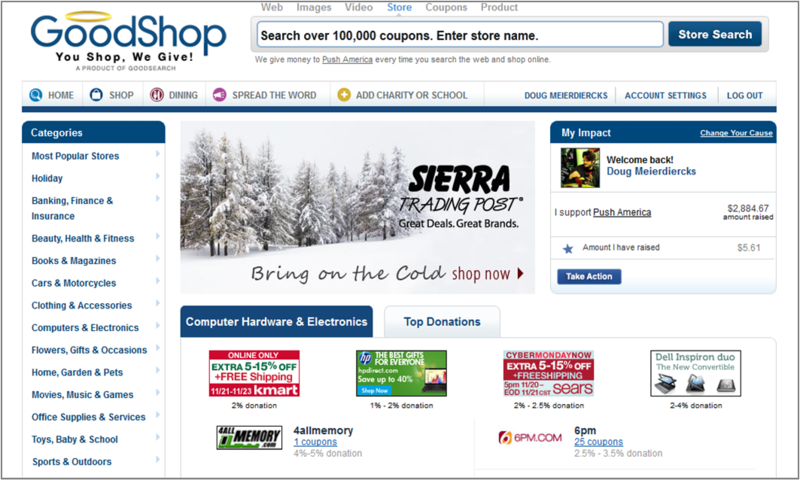 Use GoodShop.com when you shop online – they work with more than 2,500 major brands, have over 100,000 coupons and donate a percentage of every purchase you make to us. 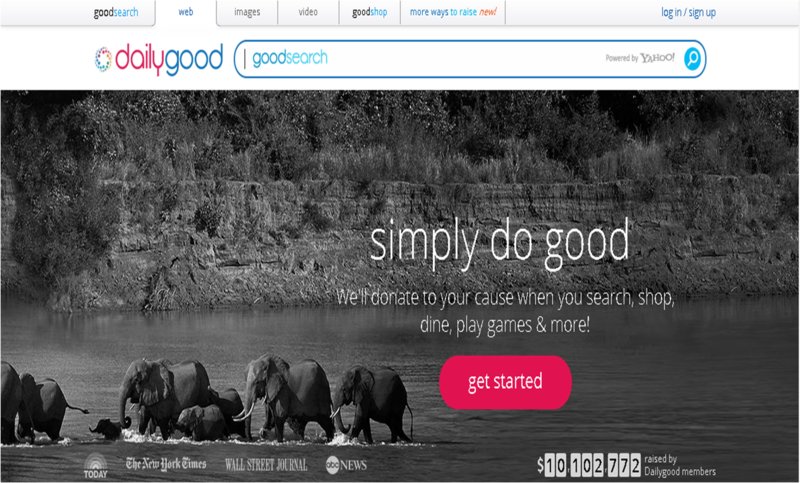 We’d like to begin building our presence on GoodSearch.com. 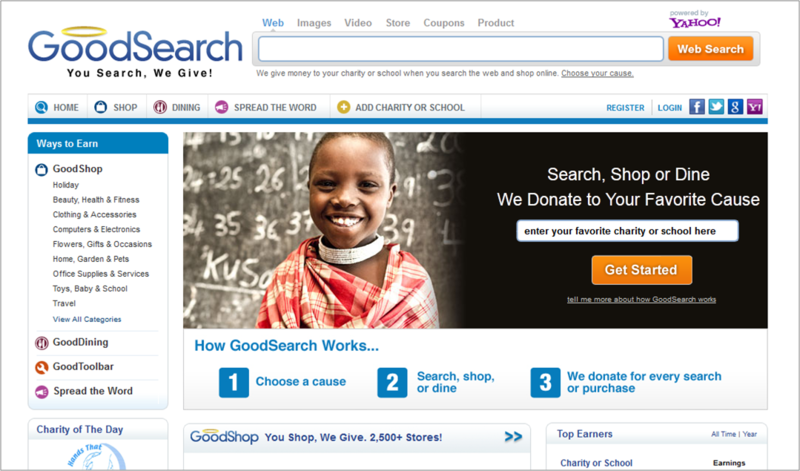 Please join our community on GoodSearch.com and help us raise money for our mission. Just look at those green eyes and satin sheen! Here is our latest black cat rescue. Meet Ninji! He's an all black kitty except for the white spot on his chest. Ninji was discovered by a customer at a gas station in West Miami. This little guy walked up to Frank and stood on his hind legs and pleaded with his front paws to pick him up and feed him and save him. Frank looked around and noticed other young cats. Upon inquiring, he learned that the cats belonged to a local resident, an elderly lady. 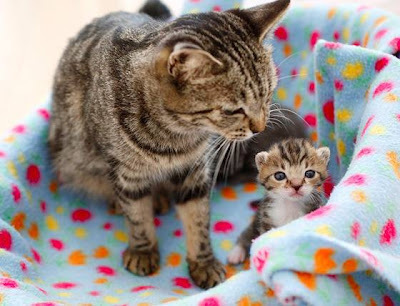 Sadly the daughter sent the mother away to a nursing home and dumped the cats outdoors. The cruelty...we are continuously shocked and heartbroken. But, Frank contacted us and we picked up Ninji. Thankfully we had room for one more. Ninji is long and lean and weighed 7 pounds in his first visit to the vet. At first he only wanted to nestle on your lap and nowhere else. It was obvious that his prior owner provided him much tender loving care. Sequestered from the other cats, we slowly introduced him to the gang. Soon Ninji emerged from his shell and demonstrated his agility, athleticism and acrobatics. This combined with his endless energy, sleek body and satin sheen earned him the name Ninji. Ninji will most likely retain a boyish face from his small round head and lean body. After a couple of months he now weighs a healthy 9 pounds. Ninji just received his second round of vaccinations and is neutered and got a clean bill of health! He's ready to go to his new home. Click here to review all his vet records (Donations welcome to cover the $200 vet bill--simply click on the "Donate" button to the right). With his high energy levels, it would be ideal for Ninji to have younger kitten as a playmate or guardian that actively tosses around his favorite toys--he loves to chase and fetch the fabric mice. And he's a talker! Ninji makes different sounds when he's playing, prowling, and celebrating meal time. There's the chirp, the mew (yes mew not meow), and the howl. You'll learn cat language before you know it! For anyone who adopts Ninji, you will receive a black carrier, and a "Welcome Kitty Gift Basket" including a pet carrier, food bowl, toys, the delightful book The Chronicles of Zee & Zoey autographed by cat author Deb Barnes, and a bottle of Coppola Wine. Christopher Coppola and his black cat Otto are the famous guardian/cat duo and were celebrity guests at the Black Cat Gala in Miami. Christopher and Otto have generously donated the bottle of wine for anyone who adopts a black cat from Riverfront Cats! So are you ready to Kung Fu with your new best friend? "With my gray and white fur, I can match any color or decor!" 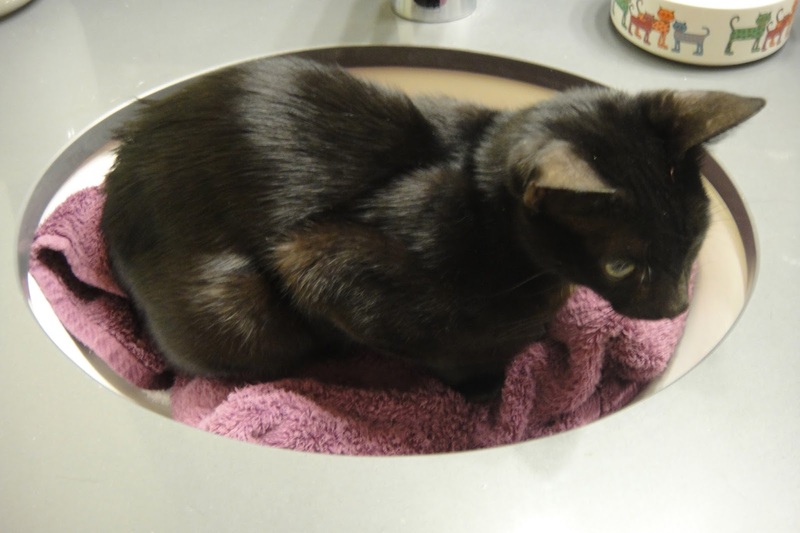 We receive daily emails and calls inquiring if we could take in a kitten or cat or two or more. The stories surrounding the situation vary. Often the caller has found a mother and litter of kittens or just the kittens. Or an owner has to give up their pet for a number of reasons (valid or irresponsible). More often we hear of scenarios where an elderly person has to move to a nursing home or has passed away. Sadly, no definite plans were made for the continued care of their pets. The fact that you clicked on this tab and are taking the time to read this post shows you care! Thank you. Most nonprofits like Riverfront Cats/Pawsitively Humane, Inc. can NOT take them in, not on a daily basis. Why? As a no-kill shelter we are all limited in space and funds. We have to find homes for our current rescue cats (and dogs) before accepting new ones. Plus, there are half a million homeless pets in South Florida. There are just not enough shelters to take them in and homes to readily adopt them. It takes time to find homes. But there is hope--in you! Yes you. Individual contributions make a difference. It requires work but this will ensure your rescue kitty has a chance to live in a permanent home and off the streets. Only as a last resort should you take the cat to a county or city shelter. In this post we offer proven techniques to help you find a home for a kitten or cat. Ideally, it's best to take the kitten or cat to a vet for an initial exam, bloodtest (primarily for FIV and FLV) and vaccinations. This is step one in the protocol followed by nonprofit shelters to determine if your rescue carries the two most common illnesses. (FIV = Feline Aids; FLV Feline Leukemia*). If you are limited in discretionary funds, then go straight to step 2. If the cat is more than two months old, please get him/her spayed/neutered. This is critical to prevent unwanted litters and more homeless cats. Chances are there is a local organization that offers low-cost spay/neuter. Check online. Photos. Lots and lots of photos. We don't mean five or six snapshots. Take at least 50 photos! Half the trick is marketing or advertising. ALSO, take the time to stage the setting with solid and contrasting colors, accessories for kitty (if he/she will not get scared). You can have fun with this task! If the cat is black, use a solid white or bright background or even a pattern. If the cat has a pattern or stripes, then use a solid background. By taking 50+ photos this gives you the opportunity to take photos in different lighting, changing the props, capturing kitty in cute, funny and adorable positions and poses, using Instagram...GET CREATIVE! Brainstorm a unique name. Think of the personality of the cat and connect it to popular characters on TV, movies, pop culture, or literature. Create a nice flyer with one or two quality photos, the name, and a brief description. Be sure to include your contact information. We encourage you to ask for a fee especially if you invested in veterinary care for the kitty's initial checkup. Giving the kitten or cat away for free means the cat has no value and there is higher risk the cat will become unwanted in the near future. If the cat's story is sad or heroic, share that story in one paragraph. Stories sell! Please describe more than the cute and adorable attributes. That's wallpaper and attract minimal interest. HUMANIZE the cat. Ie. We once rescued two male sibling kittens. 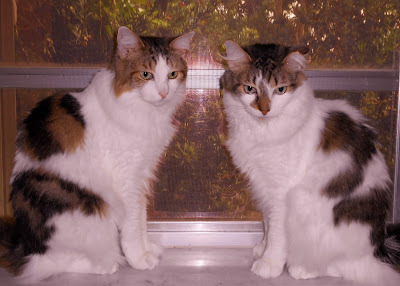 One was a terror and the other sang opera so we named them Figaro (Italian opera) and Luciano (after Italian mob boss Lucky Luciano). We described their behavior "Figaro will serenade you..." and "Luciano lures into dark alley (the kitchen) and will pounce you for food!" Post that flyer in every single veterinary office and pet store with public bulletin board in your city. Share that flyer or photo/description with all your friends, family, colleagues via email, Facebook, Pinterest and all social media. You will learn some people prefer email, some prefer Facebook, some texting. If you are not able to keep the cat or kitten for an extended period, you can always invest in a newspaper ad. This will cost more but you will reach thousands of readers and increase the rate of adopting sooner than later. It's all a numbers game. Contact your local paper for rates. Craigslist is one form of advertising for free but we strongly advise you to ask interested persons to answer a few questions. You want to ensure the person is ready for the LIFETIME responsibility of adopting a pet. It costs money and takes time to care for a pet, similar to a child. If they travel a lot, will this person readily invest in a pet sitter? If anyone hesitates to answer your questions, then that is a sign they are not serious. Move on. In our line of work, we come across many people who fall in love with the cute kitten or adorable puppy but when Fluffy and Fido grow up, owners are not enamored and tire of the responsibility and later dump them into the streets or county kill shelters. Yes it happens. You can always join a local animal nonprofit organization as a member and use their form. 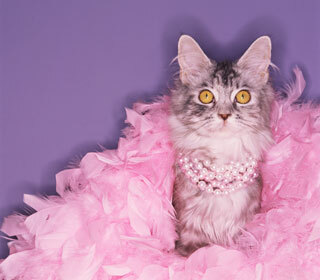 In Miami, Cat Network membership is only $25 a year. This will entitle you to low cost spay/neuter ($25) and sometimes free when CN wins grants. You can then use their application and a member will mentor you in interviewing potential adopters and to perform a home visit. ALWAYS conduct a home visit when working with strangers. Just as a home needs to be baby proofed for infants and toddlers, dogs and cats also need a home free of dangers. Also, hoarders exist more than you know. Here is a sample Adoption Application. Feel free to borrow the questions to utilize in a casual email. Do not adopt out to anyone that would permit the cat to walk onto a balcony of a highrise building--cats will jump on the ledge and fall. It happens more often than people think. All it takes is a flying bug or floating piece of lint to ignite the cat and the next second they are jumping on the ledge and do not realize the actual height. Do not delay in following these steps. Also, kittens are easier to find homes for than adult cats. This is why you want to act quickly with kittens before they get bigger. Bigger is not as cute. Thank you for taking the time to learn how to find a home for a rescued or abandoned kitty. Please do not hesitate to email (riverfrontcats@yahoo.com) us with any questions. We're all in this together and the more people working together, the sooner we can make a difference in the plight of homeless pets. * Please do not be alarmed if you learn that your rescue cat is positive for FIV and FLV. Often these cats live long INDOORS. While initially it was suggested not to mingle FIV positive cats with healthy cats, we are finding more experienced cat owners willing to let their healthy cats co-mingle with FIV or FLV cats as long as there is no fighting. Transmission of the diseases comes from blood transfer usually through aggressive fighting. Think of a precious heirloom passed around from owner to owner. But each move risks the fragile nature of this keepsake. This is the story of Millie & Tillie. These stunning feline sisters have been bounced around like used tennis balls. Their first owner dropped them off at a kill shelter. Thankfully a local rescue organization saved them and found them a new home. Sadly, they were "returned" a year later. The son of the family developed "severe allergies". Millie & Tillie are back in foster care. Millie is the brave one and hence the leader. Tillie, on the other paw, loves to reach out with her paws to "grab" your attention. They love to be petted and hugged. If they are physically separated too long, they meow in search for the other. These sisters have strong bond and will not be separated. Despite bouncing from home to home, it's that bond that keeps them grounded, sweet natured and open-hearted, ready to accept a permanent home. Remember adopting adult cats is much easier than adopting kittens. You know their personality and disposition and don't have to worry about your furniture and decor getting destroyed or shredded. These are fine ladies at two years of age. If you would like to meet Millie & Tillie, please contact Christina at cdm1580@bellsouth.net or call 786-573-1580.